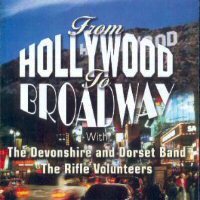 There has been a Territorial Army Band in Devon since 1908. During the World Wars the Band was suspended and the Bandsmen assumed their normal war time duties as stretcher-bearers. The 4th, 5th, and 6th Battalions of the Devonshire Regiment amalgamated in 1950 to form the 4th Battalion The Devonshire Regiment with their own band. In 1967 the Battalion was integrated into the Wessex Regiment. The Band remained in Devon as The Devon Band of the Wessex Volunteers.